Is every detail in ‘Unbroken’ really true? 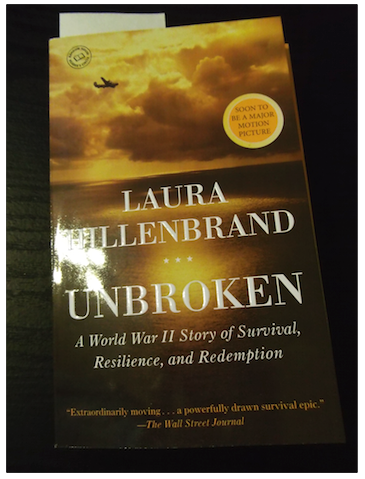 It’s so beloved that it seems almost heretical to question any aspect of “Unbroken,” the best-selling book that has just been turned into a major motion picture directed by Angelina Jolie. “Unbroken” is billed as the true story of Louis Zamperini, an Olympic runner who served in the US Air Force during World War II. While on a mission over the ­Pacific Ocean in 1943, his plane went down. What follows is an account of human struggle and survival in the face of seemingly insurmountable odds. While there’s no doubt that Zamperini, who died last July at age 97, is an American hero, we wondered whether parts of his story could have possibly, maybe, unintentionally been exaggerated or mis-remembered. Random House, which published the book, would not comment on its editing or vetting process, but The Post called upon experts in endurance, survivalism and torture to weigh in on some of the book’s more ­incredible claims. 1. While lost at sea on a life raft, getting burned daily by the equatorial sun, Louis went six to seven days without water. Is this possible? 2. Louis nearly drowns when his plane plummets into the ocean. According to the book, once underwater, he passes out, then comes to (no time frame is given). He begins “gulping reflexively,” swallowing salt water and gasoline. He then finds canisters of carbon dioxide, which propel him to the surface of the ocean. 3. Could one sustain, as Louis claimed, six blows to the nose with the tail end of a flashlight without the nose breaking? In this case, Louis also claimed his nose was broken weeks before, so badly that the bone stuck out — and this was after the Japanese captured him at sea. 4. While in a Japanese concentration camp, Louis suffers from dysentery, starvation and intermittent 104-degree fevers — and then he is placed in front of 100 soldiers who have each been ordered to punch him once, in succession. (The book claims there may have been as many as 220 blows to the face.) Is this survivable? If so, what are the chances you emerge without brain damage? 5. Could Louis, days later, have the strength to hold a heavy, 6-foot-long wooden beam above his head for 37 minutes?